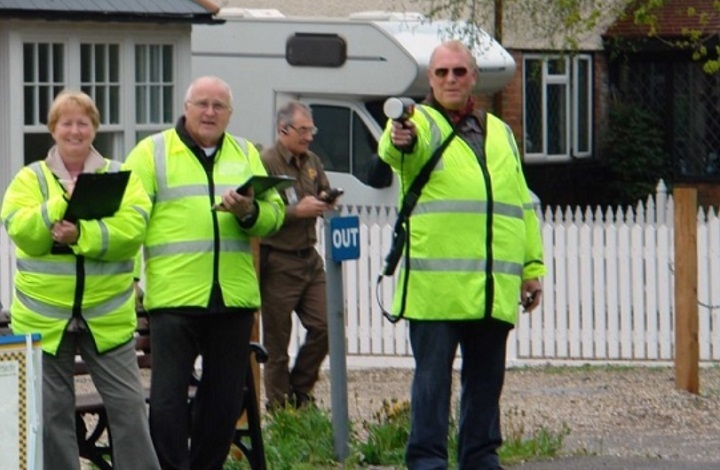 More than 40 community speed watch teams from across Norfolk will be taking to the roads tomorrow (5 May) to highlight how the public can help tackle speeding. Members of the public will be joined by road safety officers, roads policing officers and Norfolk Police Cadets in the hope that a driver making a journey around the county will see at least one, if not several, visible speed watch activities. Inspector Vicky Hebborn, community safety and citizens in policing, said: “The day will operate in the same way as any other speed watch session, other than the fact that there will be a number of people out at the same time. “Road traffic units where available will also be on mobile patrol and attempt to link in with as many groups as possible. “Although we will be collecting data from the day, the success of the event is not measured by the number of records, traffic offence reports, or traffic stops. Norfolk’s police and crime commissioner Lorne Green has provided funding totalling around £12,000 for a number of community speed watch schemes in the county. Each of the seven districts across Norfolk has a designated police ‘engagement ‘ officer who provides support and assistance for speed watch schemes. 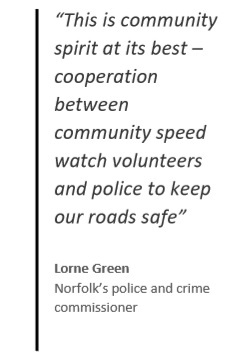 Lorne Green said: “Road safety is a big concern for many of Norfolk’s residents, with excessive speed being one of the Fatal 4 factors which put our road users at risk. This is why I have invested in a number of schemes to tackle speeding on our county’s roads. “The purpose of community speed watch schemes are not to spoil our pleasure in responsible driving, but to protect us from unsafe driving. I would like to know from Ms green just what are the 4 Fatal factors which put other road users at risk and whether when they target excessive speeds they are merely talking about speeds in excess of the legal limit or indeed any and all excessive speeds. Speeds that are judged to be inappropriate on the road at that time and that are in the main to be held more responsible for incidents and collisions than merely speeding over the limit. If one was to engage with all drivers using inappropriate speeds that lead to collisions then one would need an army of pensioners to get the job done.